Moc Chau Plateau in northwestern Son La province is endowed by nature with a temperate climate that produces diverse kinds of flowers all year round. 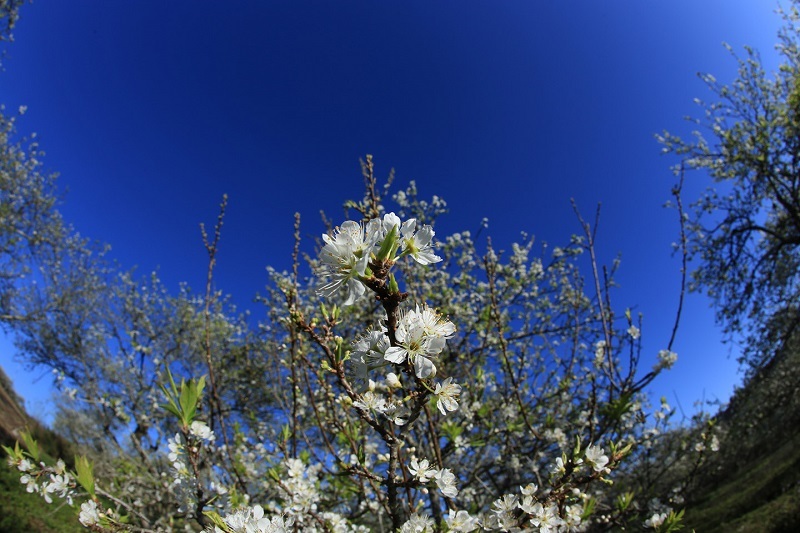 From November to March in particular, flowers are blooming, showing their unique beauty that makes the plateau become an attractive destination for tourists, photographers and nature lovers. 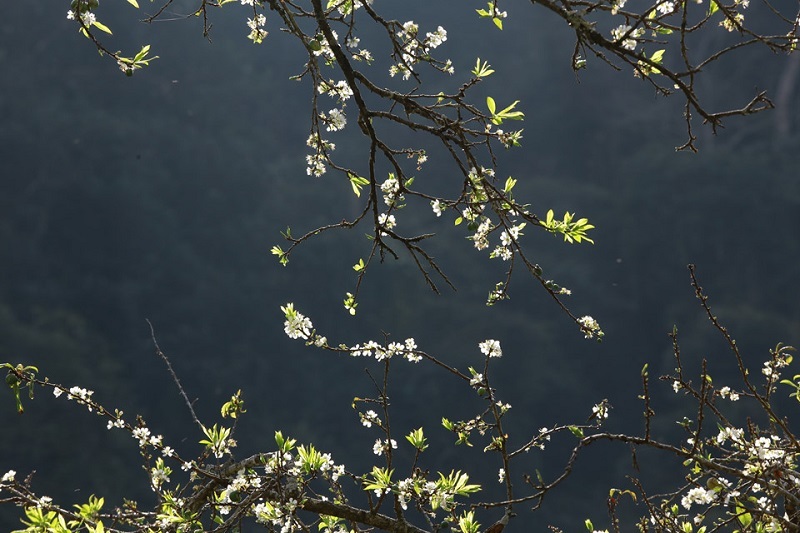 These days, Moc Chau Plateau in the northern province of Son La attracts travellers to not only endless tea hills and white mustard flower fields but also white apricot flowers. Along National Highway 6 from Loong Luong Commune in Van Ho District to Moc Chau Farm Town in Moc Chau District, visitors will see carpets of daisies and white colza flowers blooming by the road sides. Walking on small lanes, they will see rows of white mustard flowers stretching up to the hill tops. Such a wonderful landscape in the northwestern region will urge visitors to take lots of photos. 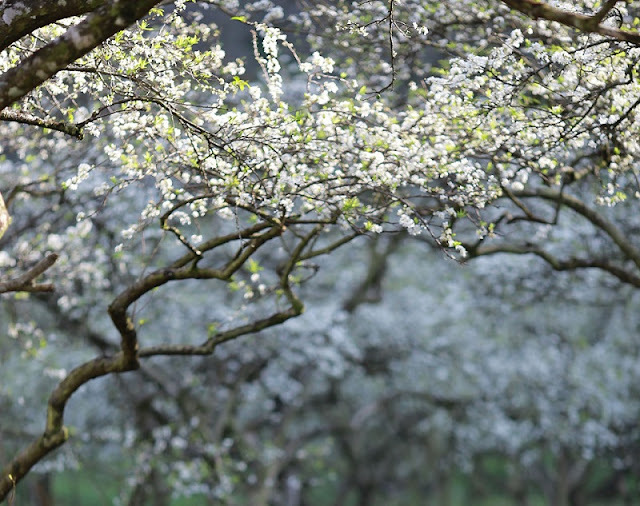 Obviously, Moc Chau Plateau is most beautiful in the spring when white plum flowers are blooming, especially from early December to February. Amid the vast blue sky over the cool, windy plateau, gardens of plum trees show their pure white flowers that cover the small hamlets, on the mountain sides and in the valleys. Such wonderful images are inviting for any visitor. 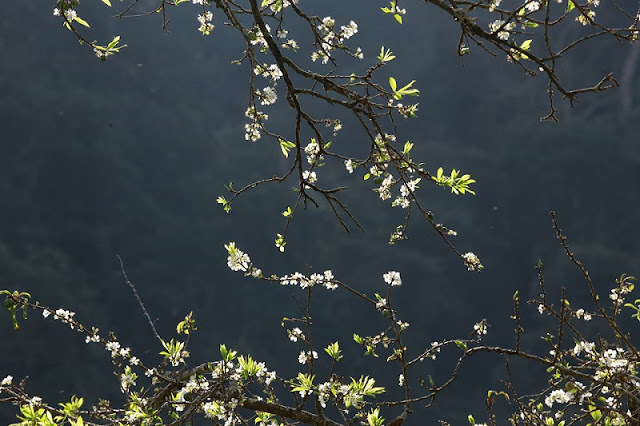 If you are passionate and love the beauty of the flowers, in addition to the Peach blossom tours in Sapa, Moc Chau plateau is also one of the favorite destinations because of the beautiful beauty of white plum flowers every spring.